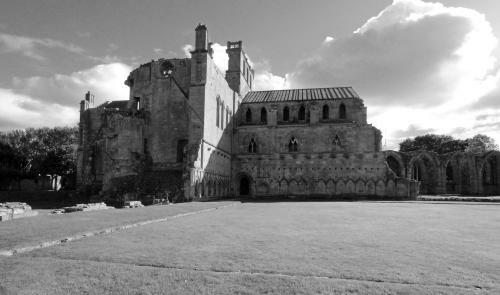 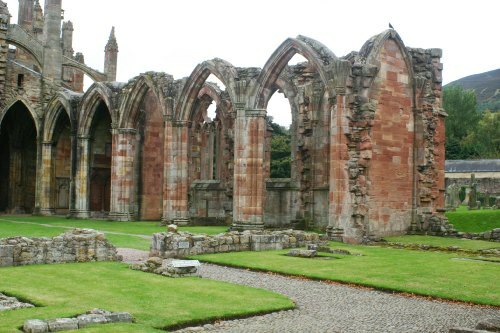 This is a Gothic-style abbey.Founded in 1136 by Cistercian monks at the request of King David I of Scotland. 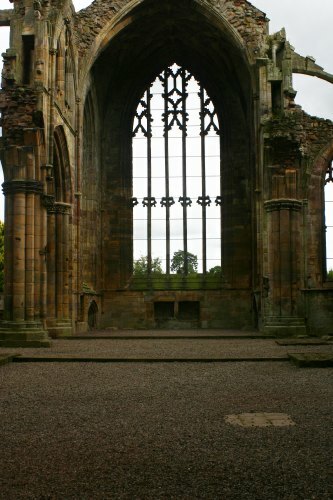 The east end of the abbey was completed in 1146. 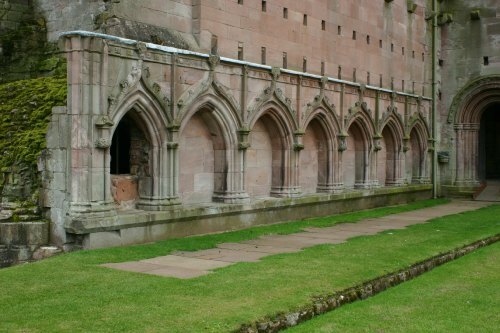 Other buildings in the complex were added over the next 50 years. 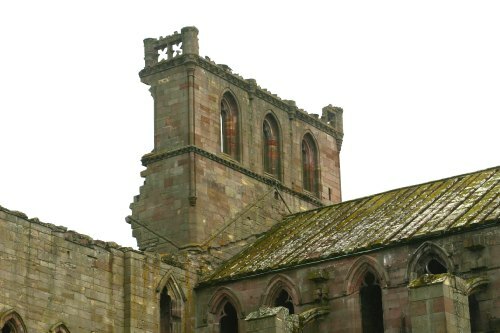 The abbey was built in the form of a St. John's cross. 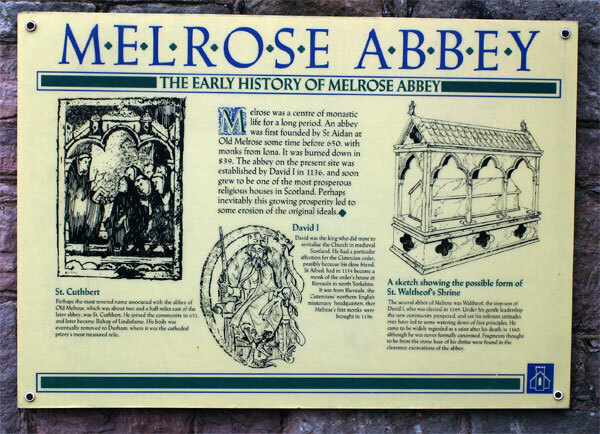 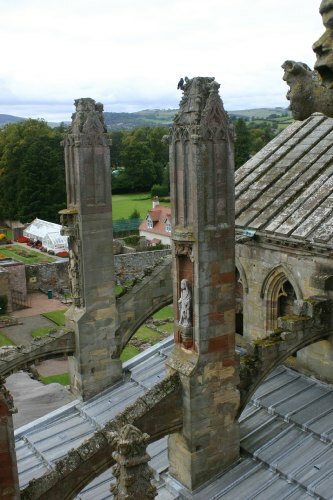 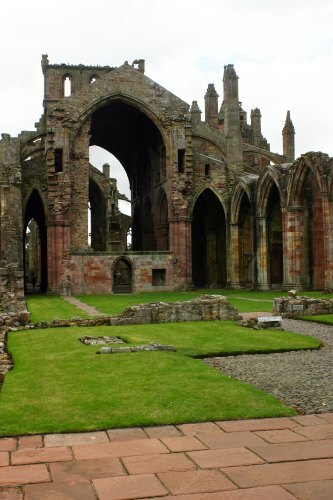 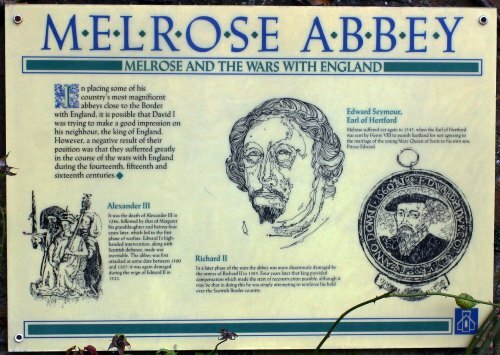 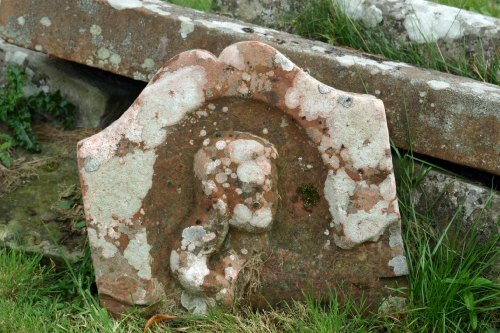 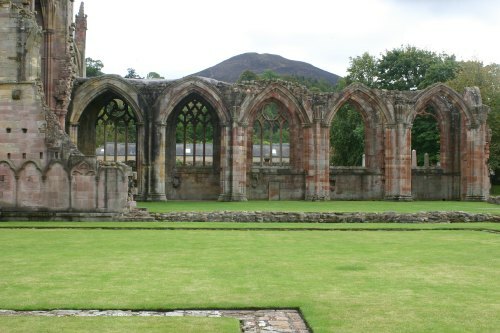 Alexander II and other Scottish kings and nobles are buried at the abbey. 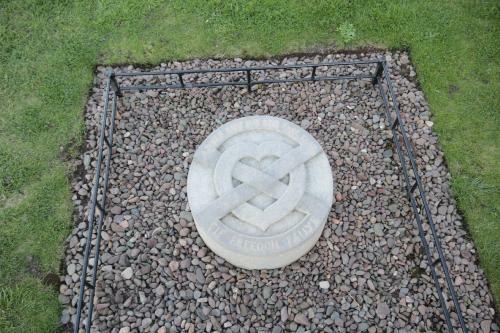 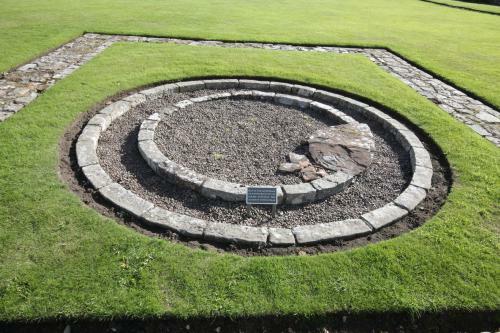 The embalmed heart of Robert the Bruce is said to be buried in the abbey's grounds, while the rest of his body is buried in Dunfermline Abbey. 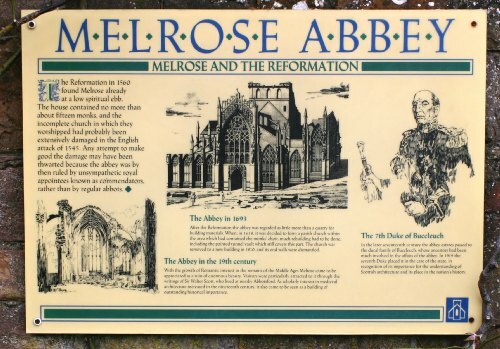 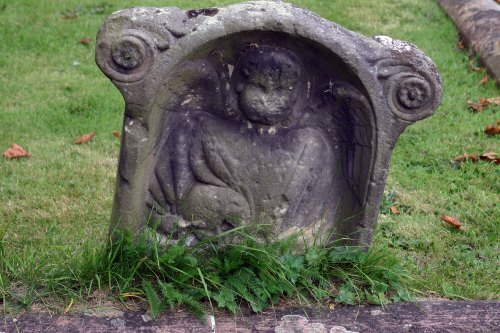 The abbey is known for its many carved decorative details, including likenesses of saints, dragons, gargoyles and plants. 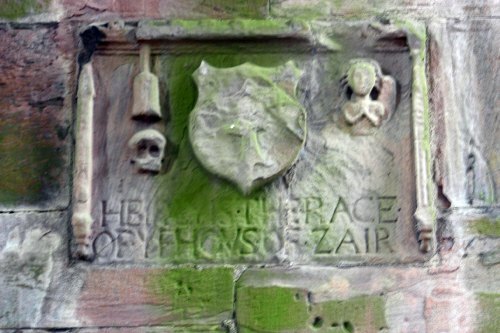 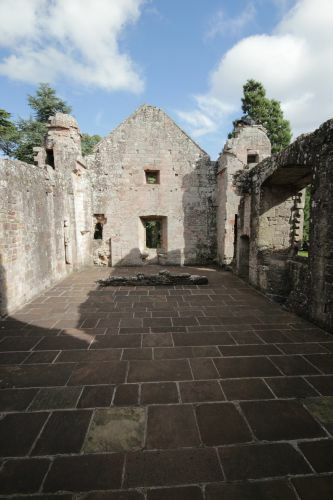 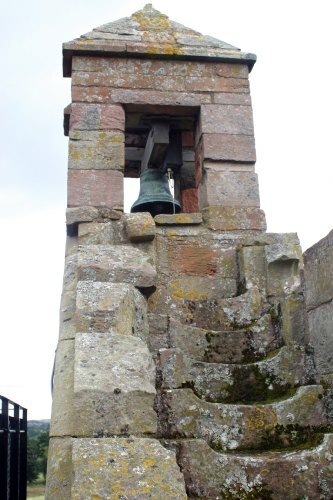 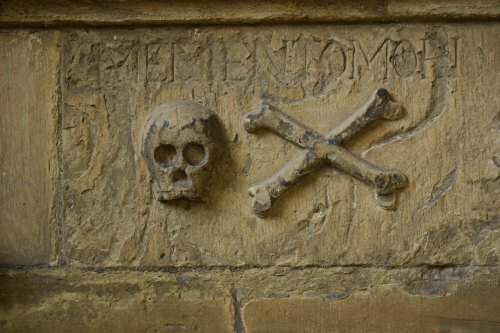 On one of the abbey's stairways is an inscription by John Morow, a master mason, which says Be halde to ye hende ("Keep in mind, the end, your salvation"). 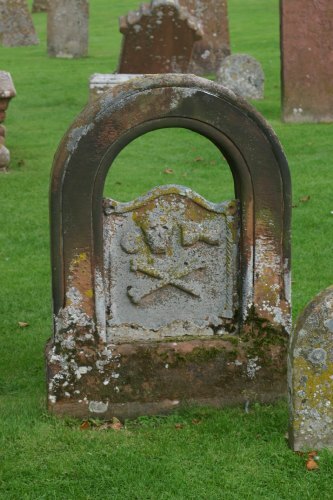 This has become the motto of the town of Melrose.